A new episode of The CW’s Supergirl barreled forward with the same velocity as its titular character. 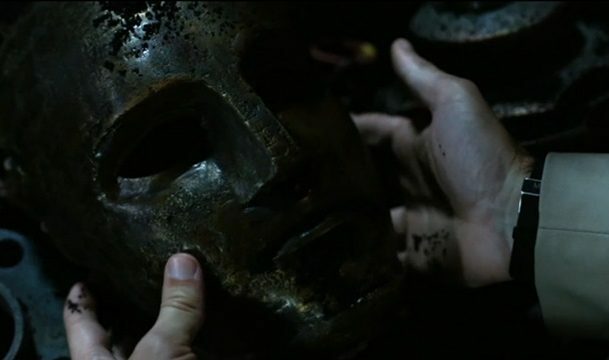 While Kara was left plummeting to the earth at the end of last week’s episode, this week’s edition sped up the development of the man behind the gold mask. It’s time to find out how Agent Liberty came to be. Supergirl’s quick descent is is stopped by J’onn, who brings her back to DEO headquarters for treatment. Despite Brainy’s best efforts, there is little that can be done for Kara. The entire atmosphere has been contaminated with Kryptonite courtesy of the Graves siblings and Jensen. Brainy and Alex administer a yellow sun radiation treatment and Kryptonite filter to no avail. Alex is forced to call in Lena for assistance. She provides a confinement suit that will protect Kara from the Kryptonite-ridden air. In a flashback to two years ago, we meet college professor Ben Lockwood as he corrects his father’s anti-alien sentiments. He preaches the need to find the good in the growing alien refugee population on Earth. His father is quick to point out how their technological and biological advancements have rendered his steel factory and humanity as a whole obsolete. These feelings come to a head when Lockwood workers attack an alien-owned factory across the street. Ben tries to calm the situation, but he is inadvertently injured by the alien’s biological defense mechanism before Supergirl arrives. These events are Ben’s first steps toward a change of heart. Lena tells him his father’s factory should modernize to remain competitive, though costs and pride are too high. A casual glance at a whiteboard made by the alien factory inspires him to speak about the price of progress to his class. 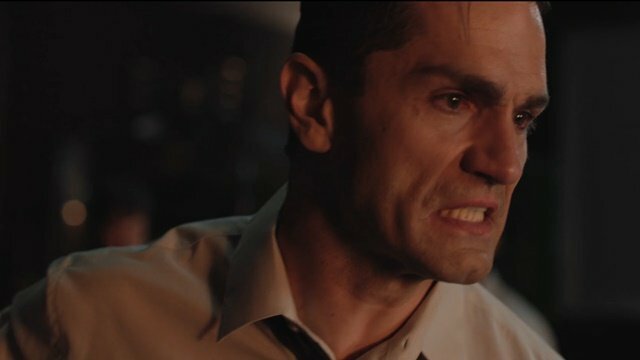 The Lockwood factory’s shuttering and the inadvertent destruction of his family’s home by J’onn push him further down the path. 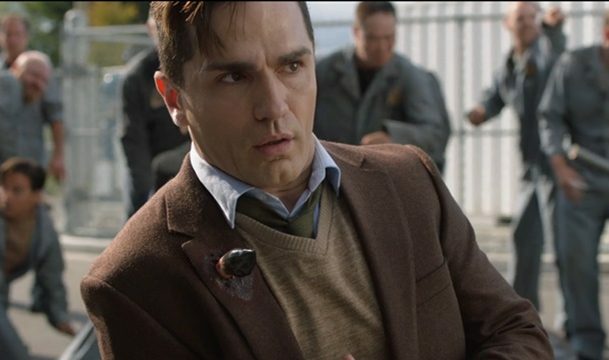 After a meeting with James about CatCo’s coverage of the damage caused by Supergirl’s battles doesn’t go his way, Ben becomes a full blown nativist. He singles out an alien student in his class during a lecture on immigration and assimilation. The student points out that his nativist rhetoric is nothing more than xenophobia before walking out of the class. Ben is fired and confronts the student at a bar. Kara steps in and defends the student. The final nail comes when Ben’s family is caught in the crossfire of another Supergirl struggle. Ben’s father is trapped under a crossbeam in his factory as a result. Ben is unable to free him. However, Ben’s father doesn’t want to be saved. He’d rather his son be the man he raised him to be and fight back. Ben does just that when he leads a group of his father’s former employees to burn the alien factory and kill the foreman that had injured him earlier. Ben is recruited by Mercy and Otis Graves, and he receives his body armor. He uncovers a mask and sets up shop in the remnants of his father’s factory. In present day, Agent Liberty keeps the Graves’ from killing Jensen, seeing him as an opportunity to target the DEO. What do you think about Supergirl season 4 episode 3? Let us know in the comment section below!